An aerobic type class in the water. Excellent for those with sore joints or those looking for no impact. All fitness levels welcome. A high paced workout that involves timed rounds! This class uses mostly the TRX to get a full body workout, but also incorporates free weights and body weight exercises. The goal is to get stronger, using mostly your own body. Most exercises can be modified, all fitness levels welcomed. Features a combination of fast and slow rhythms that tone and sculpt the body. A lower intensity workout that mostly uses the TRX to get a full body workout, but also incorporates some free weights, medicine balls and bodyweight exercise. This class isn’t limited to seniors; it’s the perfect class for anyone who is new to TRX! Specifically for those over 50. This is a safe and gentle fitness class. Improve your cardio, range of motion and your muscles at your own pace. Listen to high energy classics and have fun! All fitness levels welcomed. This “Real Athletic Workout” is designed for the athlete in all of us. The “obstacle style” group fitness program takes place on our running track and uses the HIIT (High Intensity Interval Training) formula to guarantee a thrilling functional workout. All fitness levels welcomed. Learn more about your joints' current capabilities and strategies to improve their function. A great class to try yoga for the first time or to maintain the flexibility you have already achieved. A gentle class focused on posture during walking. Mild upper and lower body strength exercises are incorporated. This class is in the therapy pool. 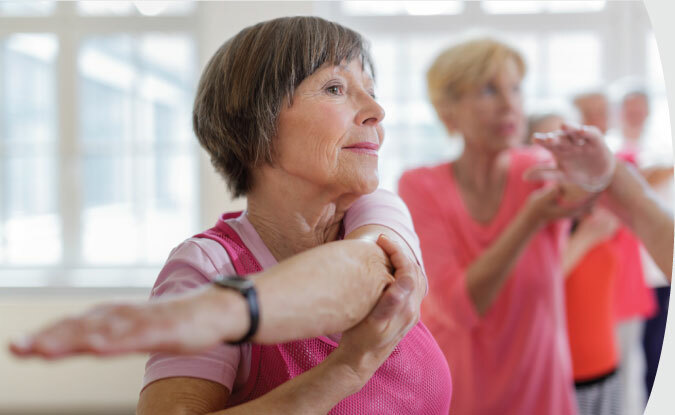 It is a safe and gentle fitness class designed specifically for those with arthritis. Improve cardio, range of motion and your muscles at your own pace! This class will get your heart pumping through a variety of exercises including step, aerobics & body weight exercises. Core strength will be an added feature to the class. Experience a fantastic cardio class while enjoying an awesome cycling video. Energize yourself with fast-tempo music and endorphin-building exercise! Learn the basics from bike setup, indoor cycling essentials and proper techniques while on the stationary bike. All fitness levels welcomed AND easy on the joints. The HIIT style (high-intensity interval training) will have quick, intense bursts of exercise, followed by short, sometimes active, recovery periods. Either style may add resistance training through TRX, barbells, medicine balls, etc. A gentle class intended to improve flexibility and balance. The use of a chair provides added support. A workout that is sure to have you sweating, smiling and feeling alive! Energize yourself with fast-tempo music and endorphin-building exercise! Learn the basics from bike setup, indoor cycling essentials and proper techniques while on the stationary bike. All fitness levels welcomed. Full body strength conditioning that uses a combination of dumbbells and body weight resistance to improve muscular strength and endurance. There will be a focus on harnessing core strength throughout the workout to gain efficiency and improve form. 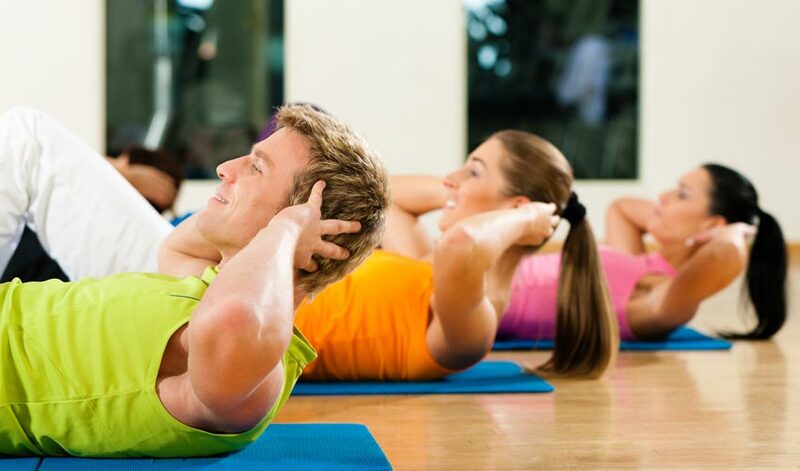 Each class will end with time dedicated to core conditioning exercises that help build core strength and stability. Appropriate for all fitness levels.